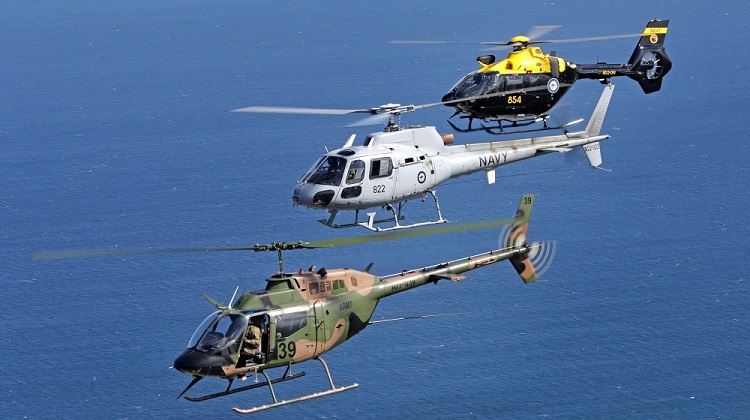 Designed to replace Navy’s Airbus AS350BA Squirrels and Army’s Bell 206B Kiowas with one training system, HATS is a combined Boeing/Thales team offering 15 Airbus EC135 T2+ helicopters, new synthetic training devices and courseware adopted under Project AIR 9000 Phase 7. “Following successful testing of the individual aircrew training courses throughout 2018, Chief of Navy Vice Admiral Michael Noonan declared the conditions had been met for Initial Operating Capability,” Defence Minister Christopher Pyne said in a statement on April 1. The aircraft are operated by Navy’s 723 squadron in refurbished facilities at Nowra, while Boeing staff instruct students on the synthetic devices. A 94m multi-mission aviation training vessel, the MV Sycamore was also acquired for HATS trainees to gain deck landing and launch experience. The first of 15 EC135 T2+ helicopters arrived at HMAS Albatross, Nowra on March 31 2016. The final aircraft was accepted into service in 2017. 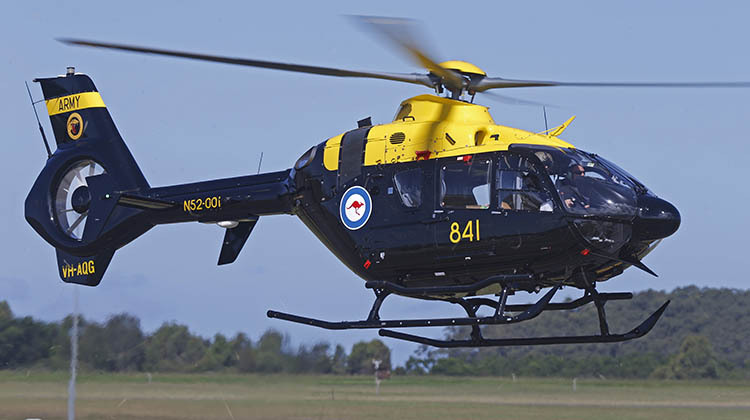 The helicopter wears ‘NAVY’ and ‘ARMY’ titles on the port and starboard sides of the vertical fin, respectively, above a fanged Taipan emblem, the unofficial emblem of Navy’s 723 Squadron. After some initial delays to the development of the courseware, the first course commenced training in January 2018 and graduated in September.